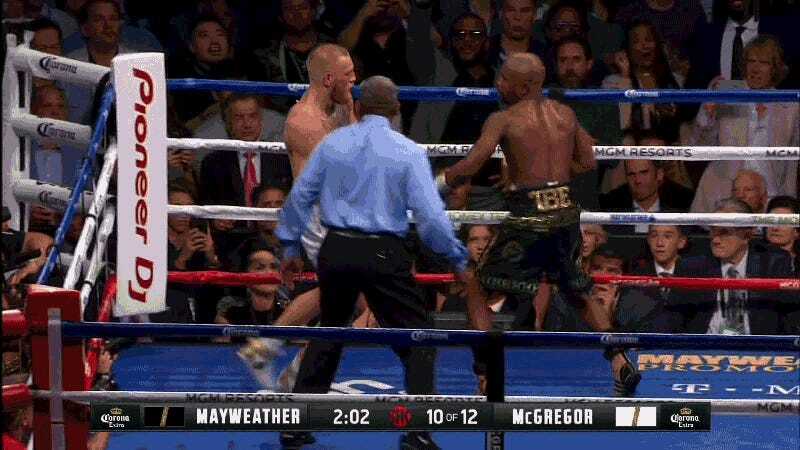 The Big Dumb Super Fight of the century ended in a rather predictable manner after a somewhat surprising start. Conor McGregor took a few rounds off of Floyd Mayweather, Jr., who was content to play matador for the purpose of dramatic tension. 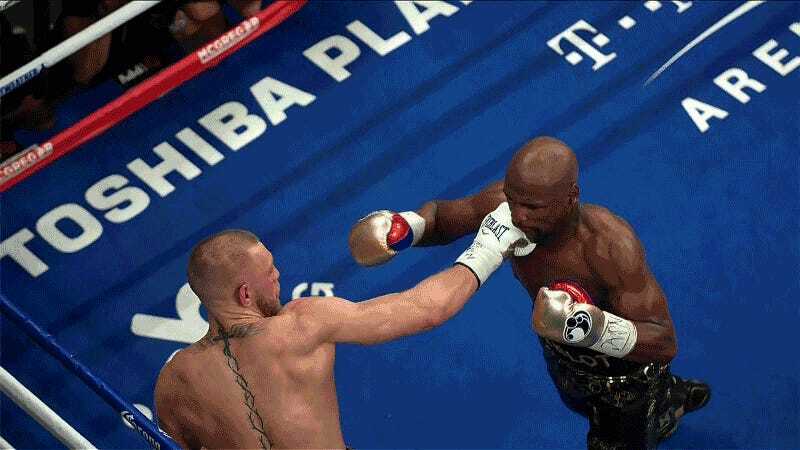 McGregor landed the odd jab, but nothing really heavy landed. It was nervy until the fifth round, when the real boxer began pouring it on. After that, Mayweather more or less toyed with a clearly exhausted McGregor. He had no problems teeing off on the Irishman, who could scarcely keep his hands up to defend his mug, until the referee called the fight following a flurry of head shots in the 10th round. Someone Placed A Whopping $880,000 Bet On Floyd Mayweather Jr.